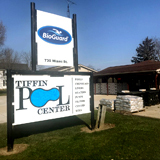 Above Ground Pools by Tiffin Pool Center offer a beautiful combination of superior quality and exceptional value. 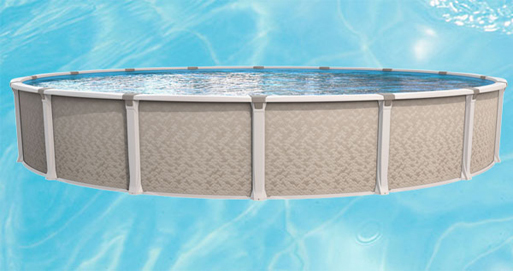 Available in attractive colors and patterns, we provide strong, durable swimming pools that will provide years of trouble-free enjoyment. 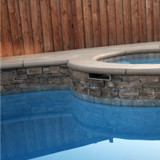 Review the different types of pools and various options for your backyard swimming oasis below. 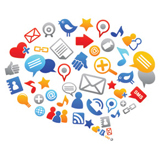 Click here to view available ladders & steps. To learn more, visit our retail store, or contact us using our website contact form. Innovative in its guidelines, the Elixir pool introduces new textures and warm colors that redefine the norm. 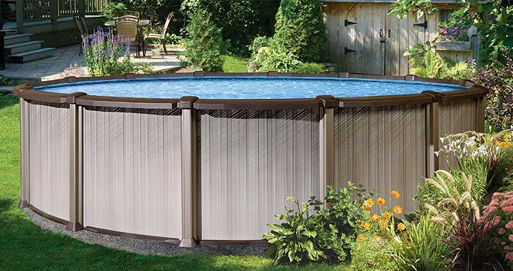 With its perfect unity between the linear wall graphic and the structural components, the Elixir will provide a highly attractive enhancement for your backyard enjoyment. 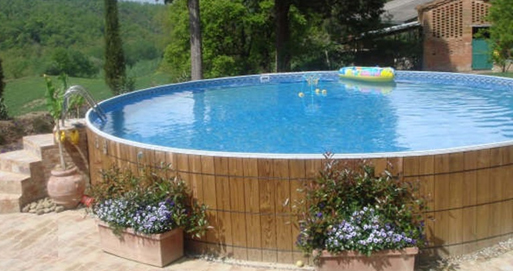 The CRESTWOOD On-Ground swimming pool will enhance any home, wood deck, or existing landscaping. It’s unique, natural look is a perfect compliment to any home or back yard setting. Things to consider: We do not install Crestwood oval pools (only round) and we do not install the walk-in stairs. Spend the whole day by the pool or in the pool. 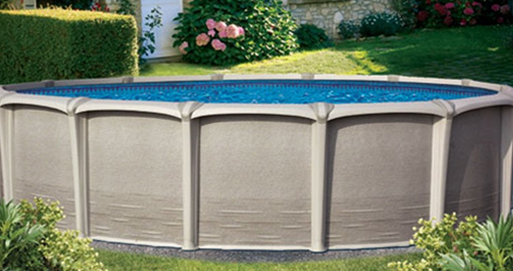 Nothing feels better at the end of a long day on a hot summer day then jumping into a Simbio Pool. The sheer joy of cool relief during those dog days of summer is yours once you discover a new, refreshing lifestyle... right in your own backyard. The Maestro’s timeless style and elegant design has it all! The Maestro is a true round pool. 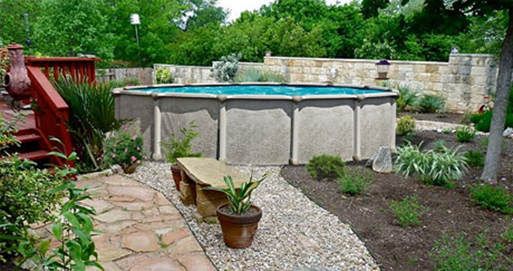 Every detail was designed to ensure the long life and lasting good looks for this pool. Enjoy your summers like never before with the Maestro.